Do you already have a free CubeSkills account? You need a free account before you can become a Premium member. If you already have one then sign in, otherwise create one now, it takes less than 60 seconds. Here at CubeSkills, we have tons of of free tutorials and other content, and we promise that this will always be the case! However, our premium membership subscription is available for those who want access to extra content, the ability to ask questions and receive feedback from Feliks directly, and who wish to support the development of the CubeSkills platform. Access to all CubeSkills tutorial videos, including all new content that is uploaded! The ability to view and post comments on tutorial videos to ask direct questions to Feliks. Access to the regular CubeSkills live video stream (once a month on average) and access to the full history of recorded streams. Access to the Solve Critiques section, a database of 90+ solve analysis posts. Here is an example of a written solve critique. Please note that CubeSkills is no longer offering solve critiques to all premium members. Access to results history and analytics in the PLL Recognition Trainer tool. Get full access to the CubeSkills website and enjoy the rest of the premium member benefits for a low monthly fee. You can cancel at anytime with just a few clicks. Feliks provides very personalised advice to me on a regular basis, is always happy to answer all sorts of questions. I have great improvements on all cubes particularly 3x3 by watching the videos and receiving feedback on my solves. It's also cool to have first hand information behind lots of world records. I'm happy to support the site and get great extra benefits. 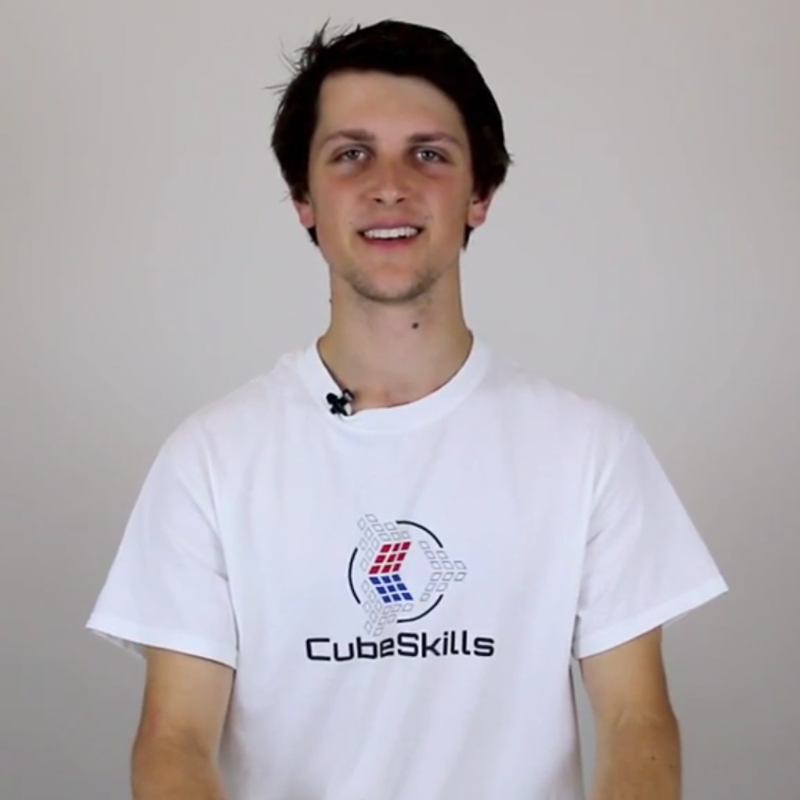 Feliks' CubeSkills is the definite go-to website if you are serious about speedcubing. Taking the premium membership was a great decision I've made for my solving. Where else would you have the best speedcuber of all time helping you to get better? Thanks to his tuition I have improved by 6 seconds in competition (from 26 to 20 seconds average) in 2 months and more at home. Feliks responds to emails quickly and efficiently plus the extra videos, livestreams, solves critiques (the list goes on) are more than worth it, thanks very much Feliks! I have been a premium member for about half a year, and during this period, I went from a 50 seconds average to being sub 30 and color neutral, which considering my age, is not bad at all! This would not have been possible without CubeSkills. First of all, the website is growing quickly, it is extremely well organised, and the tutorials are very clear, even for a French cuber like me. Feliks never leaves me without an answer, even to my most stupid questions (and there have been many). Such a support from such a champion is quite rare, I don't know any other champion who is willing to share his advanced techniques and at the same time help beginners like Feliks does. The solve critiques section is another of my favourite parts of the website. We have a refund policy to give you peace of mind before signing up for a premium subscription. If for any reason you aren't happy with your premium membership, simply email us within the first TWO weeks of your membership, and we can cancel your membership and refund your payment! CubeSkills uses Stripe to process all payments, which can accept almost any sort of debit or credit card - including VISA, Mastercard, and American Express. Yes. CubeSkills does not store any credit card information - we use Stripe to process all our payments. Stripe encrypts all card details, and you can read more about their platform security here. CubeSkills is a subscription platform, which means you will be charged each month for your membership. The CubeSkills monthly membership will automatically renew each period, so you will be charged unless you cancel your membership. It’s really easy to cancel your membership. Simply go to the subscription section on your profile page, and click cancel membership. If you have any issues cancelling your subscription, email us and we’ll sort it out for you. If I cancel, will I still have access for the period I paid for? Yes, you will! If you cancel a monthly membership, you will still have premium member access until the date at which you were scheduled to make your next payment. If you have any other questions about premium membership, simply contact us and we’ll be happy to help you!